Many times I make a cake for a venue and never get to meet the bride and groom. Such is the scenario with this cake. This cake is beautiful on it's own but before the reception the pastry department at the venue put some flowers on it. I did not get to see it adorned with the flowers because they did it sometime after I delivered and before the wedding reception. The middle tier technique is called Ombre which means a varigated color treatment. 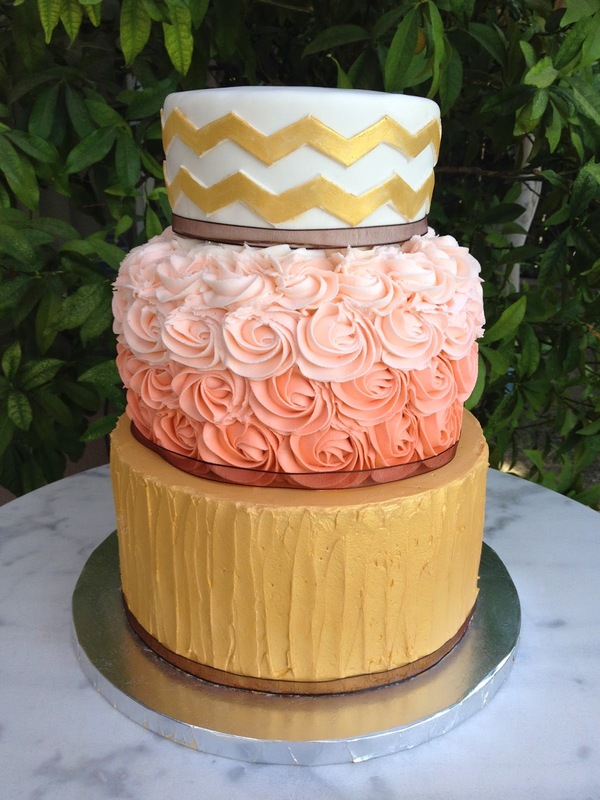 The bottom tier was sprayed with an edible gold spray "paint". The flavors of this cake were lemon cake with raspberry buttercream filling and lemon curd filling.